Whether your financial situation is simple or complicated, we can help with your tax planning needs. 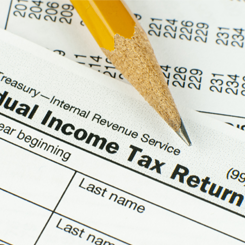 When tax season rolls around, contact us to schedule tax preparation services. If you are being audited, contact us for help. 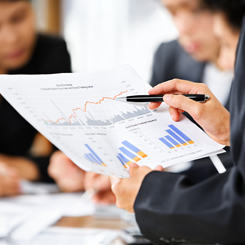 We can conduct a full financial review to determine the current financial health of your business. Services are prompt and accurate. From forensic accounting services to business planning strategizing, we provide a range of financial consulting services. 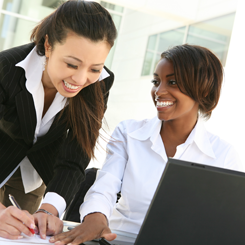 Protect your company's financial future by turning to our team. Wendell Causey, CPA, PC is a full-service CPA firm based near Atlanta, Georgia. Specializing in tax preparation and compliance, auditing, and financial consulting, our team works with individuals and businesses, trusts, corporations, and estates. Our offices are easily accessible for those in the North Metro Atlanta, and the surrounding areas. We also work with clients across the state and around the country, handling federal, state, and local tax filings. Established in 1994, our firm strives to provide highly-personalized service that caters to each client's individual needs. Clients appreciate that we try to pick up every call, even if that means the owner, who has more than 40 years of experience as a certified public accountant and financial consultant, answers the phone. Calls rarely go to voicemail. Our founder has more than 40 years of experience as a certified public accountant and financial consultant. Backed by his extensive financial experience in a broad range of industries, we have built up a diverse clientele that ranges from small business owners and private individuals to partnerships with gross revenues of $50 million.